I’ve had to finish this week’s post on my son’s desktop PC, as it seems my laptop battery has decided to simply stop. 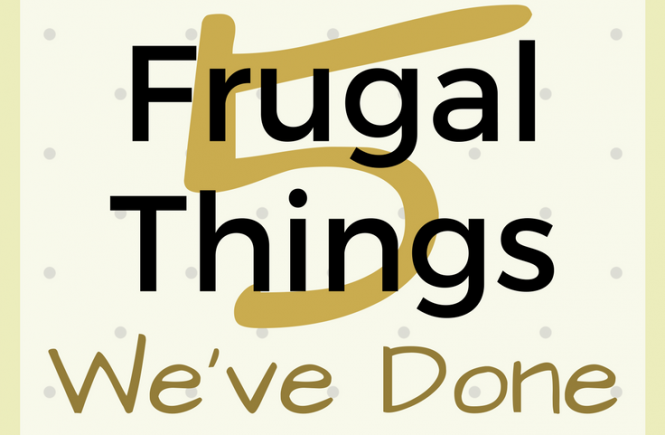 It looks like next week won’t be a frugal one at all! But each week’s worries to itself, right? 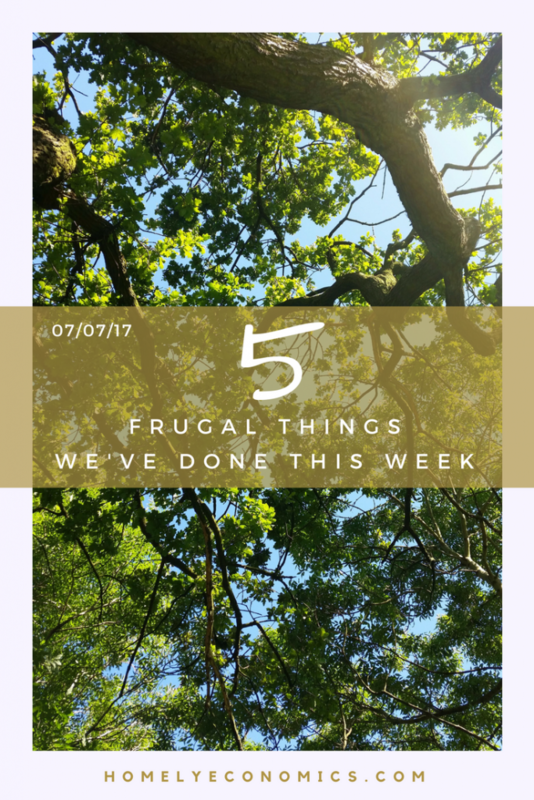 Here are my 5 frugal things for this week. 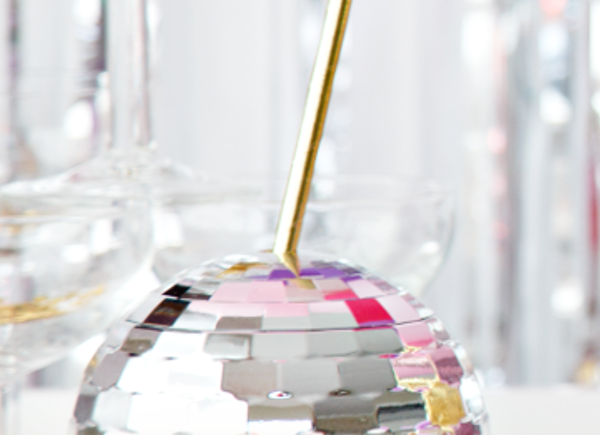 1 – Free cider from CheckoutSmart! Yes, I haven’t been using my grocery cashback apps as much recently, but we got two bottles of cider for free, which should have been £1.80 each. I learned that through my workplace, I’m entitled to 5 – that’s right, 5 copies of Microsoft Office 2016 at home! Now that I’m actually using my son’s PC, this has come in remarkably handy. Silver linings, right?What’s more, we can get Sophos antivirus software installed for free as well. It’s worth figuring out if there are any hidden perks that come with your job, that’s for sure. This isn’t something I can say that we often do, as we rarely buy branded items anyway! Still, it’s a surefire way to save money if you do. We’d found some store brand chicken fillets for an alternative to a branded item that we’d started buying recently for quick lunches. It gives us twice as much for our money, and we’re all happy. This week I finally had to make good on my promise to repair a broken zip on my husband’s backpack. Yes, I put it off because I just wasn’t in the mood for sewing, and zips are a major pain, aren’t they? Still, he really wanted me to fix it instead of buying a cheap replacement, and he already had a zip. It wasn’t as difficult as I thought it would be (I didn’t even use the zipper foot, so cheating helped) and he’s happy to have his trusty bike bag to use again. Repairing our own bikes isn’t something I can claim to be capable of – this one is Lord Balders’ forté. He’s been fixing up the hydraulic brake lines on our mountain bikes this week, and using YouTube (always handy) to brush up on his knowledge. As well as that, he’s been sourcing tools for the fix from eBay to keep the cost down. As long as I can actually hit the brakes when I need to and not end up in a hedge, I’m happy! Next week will be an interesting one, I can tell! 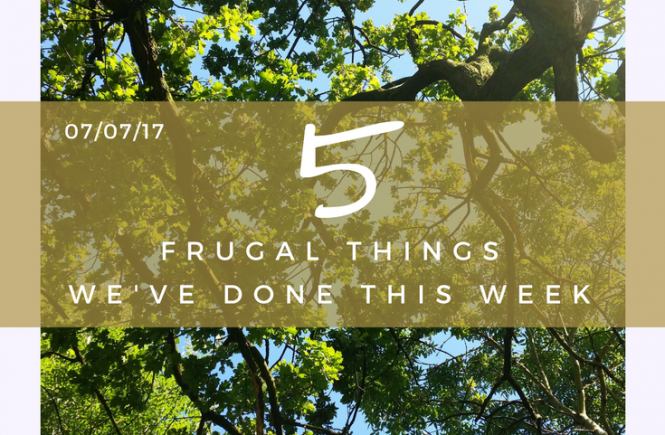 How has your frugal week been? Great saving on Microsoft there, we get it discounted through my husband’s work which is great even though I don’t mind the free options such as Open Office. I hate having to sew but it’s a great way to save money, I’ve been meaning to sew a button back on a coat for ages now. 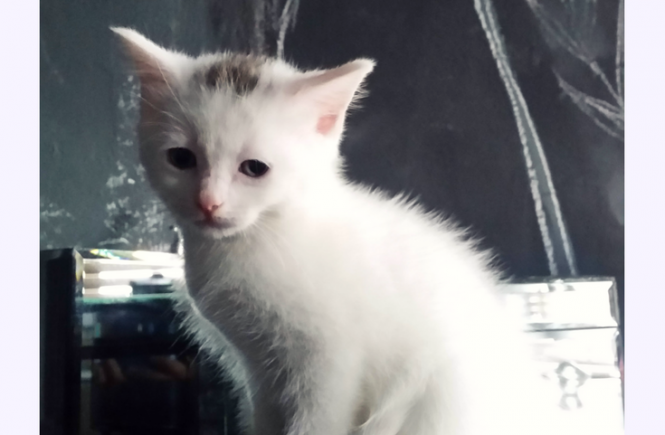 It can wait until the coat is needed though. I used some sewing skills this week too! Must have been the week for it. I need to focus more on down branding! Good luck with the laptop next week. You’re so lucky you can sew! I always have to ask a family member to help with sewing. Well done on the free ciders, its been lovely weather for it! That is great about the free Microsoft Office! Nice work.